This is a week of anniversaries for me. I just enjoyed my 8th anniversary with my husband, and we also acknowledged our 5th year in our home. This evening, though, marks a third kind of anniversary for me. Much like an alcoholic, or anyone who has battled a life-threatening addiction, I celebrate (officially!) two years of eating clean, giving my body exercise, and separating myself from an unhealthy food-centered lifestyle. On this evening two years ago today, I made the final commitment to myself that I would do whatever it took to get myself healthy, that I would no longer make excuses, that I would not let myself fail this time no matter how uncomfortable the process, and that I would claim my freedom once and for the rest of my life. Bill and I had just celebrated our 6th anniversary and had some pictures taken by our daughter at the park. It is weird to me that, scour as I might this week, I cannot find any digital copies of those pictures. I have everything else, it seems! I only know that I looked at those pictures, after chowing down on our traditional anniversary meal at our favorite burger joint, and I really saw myself. Sure, I saw the obesity—60 pounds overweight and counting—but more than that I saw someone who looked both way too young and way too old all at once. My skin was tight and wan, I knew how little physical energy I had…but I also saw something else. I saw my eyes. Where was the zest for accomplishment and life going? Was it being absorbed by all of the work of motherhood? Where was my personal vitality? The life of my mind and body together? I loved, with a passion, being alive—but was this body allowing me to live fully? To do everything I wanted to do, physically? Was this body going to be it? Hadn’t it been far too long since I felt my body really reflected the creature I was inside? A couple of weeks before those pictures in 2012, I had just bought my next size up in clothing. Would it stop? If so, how? I thought about it for a couple of days. Either I would do it all in, or I would not attempt it. 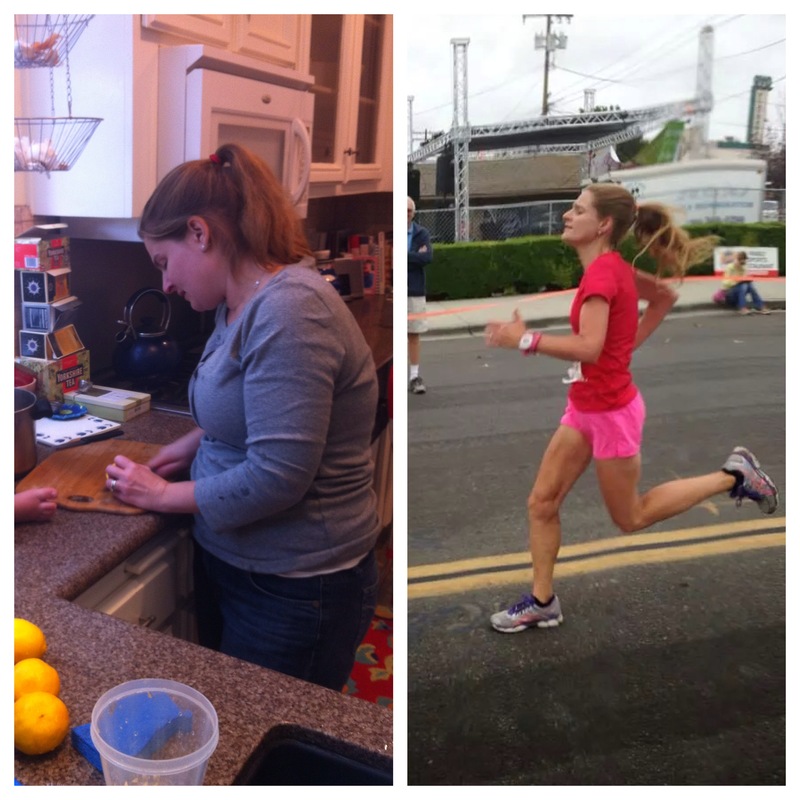 It was a bigger change than just giving up some calories everyday and moving my body. It meant, for me, breaking away from foodie culture: no more food-centered TV shows, put aside my food magazines for other reading, stop posting so many pictures of what I make/eat/think about eating, stop making food so darn important and all-encompassing. There is so much more to life, but by focusing on food so heavily, I had chosen to pursue a temporary pleasure at which I could not possibly fail. It’s easy to eat. In this culture, as we have for hundreds of years, we tie food in way too closely to imaginary status and rhetoric. It was time to remember who I was as a teenager when I pursued bigger dreams and took more substantial risks, a time when I was unafraid of truly hard work. So often those long term goals afford very few immediate pleasures at all; the pay-off is at the end. It was that simple, in a way: it was time to try my best. I have had a good track record with that, generally. That was all, but it was everything. That was the moment of terror, the moment of risk: if I told myself I was going to do this, and I did not follow through, who would I really be anymore? I would not be who I thought I was, all my life. I remember exactly where I was in my house when I realized this. Deciding to change myself asked me to gamble with everything I thought I was, and hoped I could be. And I chose to gamble it all, on the night of May 31, 2012. Spring 2012 (note the ubiquitous sweater, even in warmth); taken today, May 31, 2014. Two years makes a difference. Actually, I have been maintaining my current weight now for most of the year (having hit it officially last August in 2013). 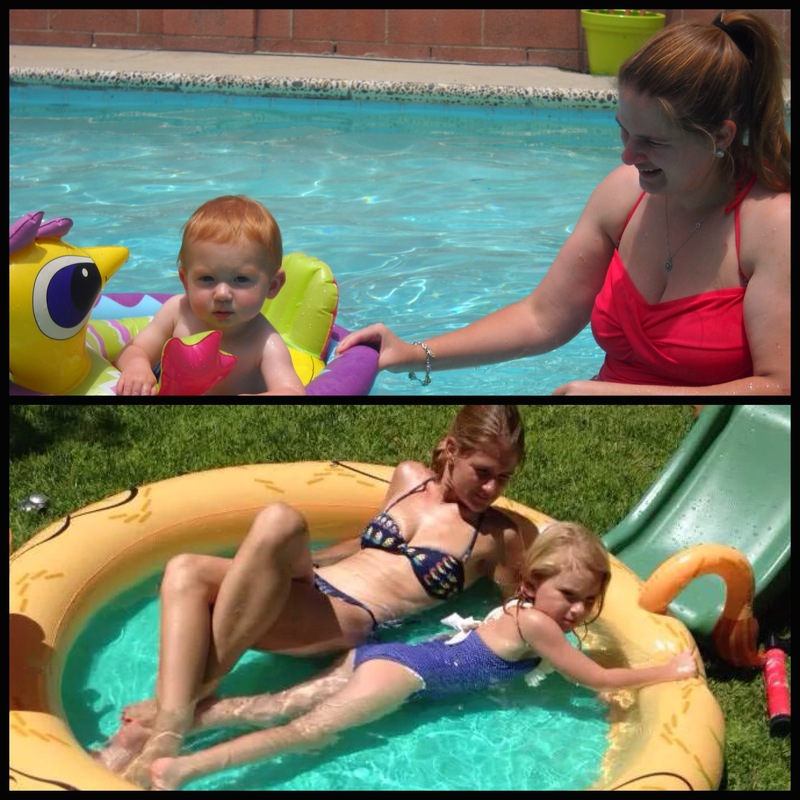 So, less than two years…can make a huge difference. If I can do it, food-lover extraordinaire whose definition of loving motherhood partly included baking treats several times weekly with her children, then anyone can find the way to do it. I believe that. Our 5th anniversary in 2011….and our 8th anniversary this week. We have made our bodies now the best they can possibly be for one another, and that is an amazing experience to share. Oh boy. This one on the left is hard for me to share. This was at my heaviest. What was going on here? Why didn’t I stop? It’s not just the weight, either. Anyone who has been/is overweight knows that the weight itself is not what makes looking at this picture difficult. It is the fact that I had so thoroughly trapped myself and given myself so little time or care. That hurts. Why did I not value myself more, for a period of time? Why did I not notice, or care, that my freedom was slipping away? I feel like telling myself, “Wake up! Wake up!” And now I am starting to get teary-eyed because I am realizing how easily I could have decided to keep living in the status quo two years ago… What if I had not been brave with myself? What if I were missing out right now on the freedom that I feel today? The thought of never feeling what I feel right now really upsets me. What if I had chosen to go through the rest of my life without feeling the way I do right now? Without being able to run and feel my body free? Or to feel like I look on the outside the way I feel inside? Or to have 1000% more energy to be active with my kiddos? What if, two years ago, I had made a different choice? This was taken about a week or so ago. Freedom and playfulness and silliness and…the ability to be exactly as I dreamed I could be. 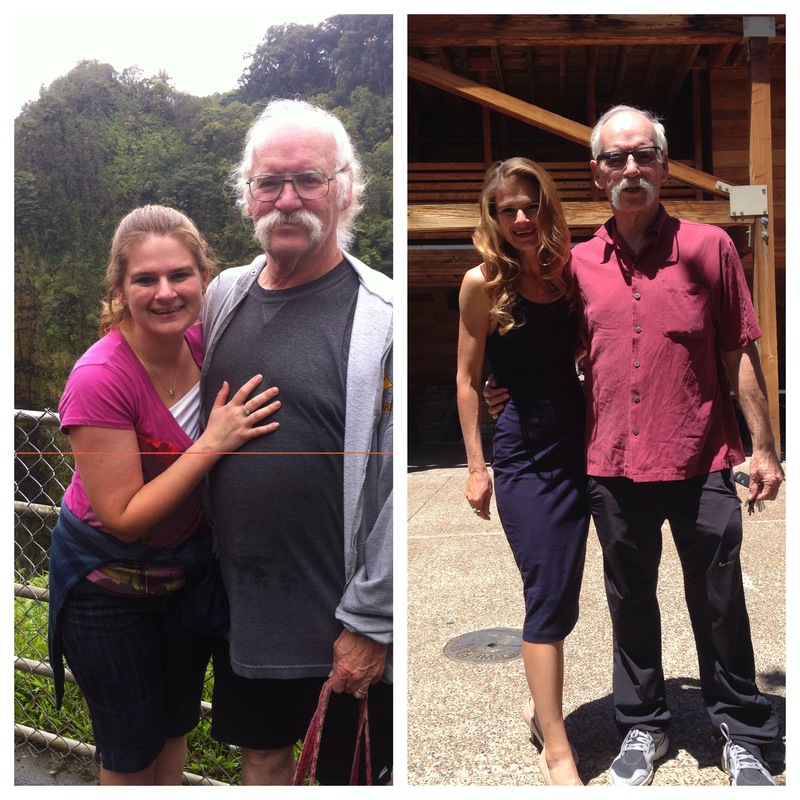 It would have been nice to experience Hawaii with my husband in a different body (early 2012, before I put on another 15 pounds), but maybe another time… The picture on the right was taken last month. I used to think love looked and felt like the picture on the left. Uh-uhn. For me, now, loving my children means teaching them to monitor their food choices, giving them enough education to choose wisely and healthily, and taking them to work out. It will be more difficult for Katie, because I developed some poor food habits with her early on, and I take responsibility for that. We are working on it. I try not to use “skinny” and “fat” as our adjectives with her; we use words like “fit” and “strong” and “healthy.” I am teaching her how to assess the value of a food item for nutritional content. She knows how to navigate parties now, too: sure, take a few chips if you feel you must, but then move away from the bowl and be done. So. What has worked for me? I have been asked this many times in the past two years. A couple of times, I have even been approached as though I have a secret. Am I taking secret magic pills? Hormone therapy? Is there some magic combination of food items? I count calories—yes, still!—and I exercise 5-7 days a week (five intensely, the other two perhaps a walk, hike, weights, or light cross training) for 30 minutes or, sometimes, quite a bit more. At this point, I make exercise THE priority in our home, for everyone. (Betcha thought it was academics. Those are essential, too, but I have come to believe that everything—including mental/intellectual clarity—starts with exercise). When I was losing, I aimed for 1200-1500 calories a day. Even running. Now, my calories are a bit different, but those who say runners can eat whatever we want? No way. Untrue. Oh, I wish! I burn only 78-80 cals per mile when I run. Mathematically, that’s not very much. If I do a short run in my training, like 4 miles, that’s only 320 calories burnt. I still have to watch it, in both directions. Maintaining weight is its own ballgame, not exactly like losing. Here are some helpful ideas that worked for me: (Warning– just skip this part if you don’t like things that border on lectures, and/or if you are not currently interested in losing weight). 1. Weigh daily: Bill and I weigh ourselves every morning at nearly the same time every morning, after fasting (food or drink) all night, and in our unmentionables to reduce variability. Bill takes the scale on vacation with us. We are accountable daily. There is about a three pound range of statistical variation. 2. Reduce food triggers: We don’t watch food shows or put ourselves in many situations in which food is the prominent feature or motivation for the event. I try not to “pin” recipes unless they meet my nutritional needs, so no fantasy recipes for me. I have also tried to post fewer pictures of what I eat (although sometimes I still do, for whatever reason) so that food is no longer glorified or central to what we are doing on a daily basis. 3. Adopt a mainly plant-based diet: I’m not against meat, exactly, though most of it has lost all its appeal at this point. (I have not eaten nor craved beef since January 1st this year—so about five months). I do still make roasted chicken and fish occasionally, and every now and then I buy turkey meat for the kiddos. If I never had a bit of meat again, personally, I wouldn’t miss it. When I do eat chicken, I eat a small portion and usually do it only because it might benefit the next day’s run. So how did this happen? I discovered that I can eat a whole bunch of plants for the same calories and get more full, basically. I also feel better on plants. I am not ready to go vegan, although very early on in my journey, the Forks Over Knives documentary gave me something to hold onto and I recommend both the film and the cookbook. I still love my 0% Greek yogurt and goat cheese too much to go totally vegan…at this point. 5. Count calories, without exception: I have probably made this clear. I do not really think there is another way to do it, especially over the long haul, for me. Maybe some people are born with a more innate set point and know how to eyeball portions and when they are full, and so on, but that’s not me…and will never be me. People have asked me about other diet trends: eating whole foods, organic, paleo, etc. Maybe? For them? Maybe. But a calorie is a calorie is a calorie. To think that our bodies will magically reshape themselves without attending to the math of it…well, that’s partly what got me in the hole for years. That thinking in the past allowed me to imagine, “Well, if I have this burger, I can walk it off this afternoon.” No way… Walk off an 800 calorie burger and fries? For me it has to be black and white. No fudging. Eating 1000 calories of organic food is still eating 1000 calories. It has a cost. Doesn’t matter where the food comes from…or how green it is. Energy in, energy out. 6. Use technology: I love my Fitbit. Interestingly, though, I did not have a Fitbit for all of my weight loss. I started using it only this past October (2013), and I love how it helps me to maintain and works with our scale. I entertain the idea that the merging of technology with the human form is the future, and I believe that we can use this to our advantage to become healthier people. Using social media to keep accountable for goals can also help prevent backsliding. 7. Avoid eating out: We rarely eat out, and we both have this “oh no” moment when we find ourselves needing to eat out for whatever reason. It is much more difficult to control ingredients and calories at a restaurant. Portions are so much bigger than humans need at a meal, so you also end up paying more for the opportunity to overeat. It’s not a winning situation for us. But if we find ourselves in a spot where eating out may be the only option, we try to preview online menus ahead of time and calculate/estimate calories for the items we think we might choose. If I can, I always go into a restaurant scene these days knowing 24 hours ahead of time what I will order. If it is a restaurant where few options are going to be acceptable, I plan breakfast accordingly. At times, I have also cut my restaurant meal in half, pushed half to the side, and only eaten the portion. 8. Eat on a salad plate: I started this right away two years ago, and it helps with an understanding of proper portions. 9. Connect with a larger ideal: Changing my lifestyle started out as mainly cosmetic. I wanted to lose weight for aesthetic reasons, mainly. A little way into it, I started shifting my motivation to bigger ideas: taking only what we need so that our human resources go further, reducing the cost to animal life, self-identifying as being part of the “runner” culture, looking at weight and muscles as an athletically-driven pursuit, etc. 10. 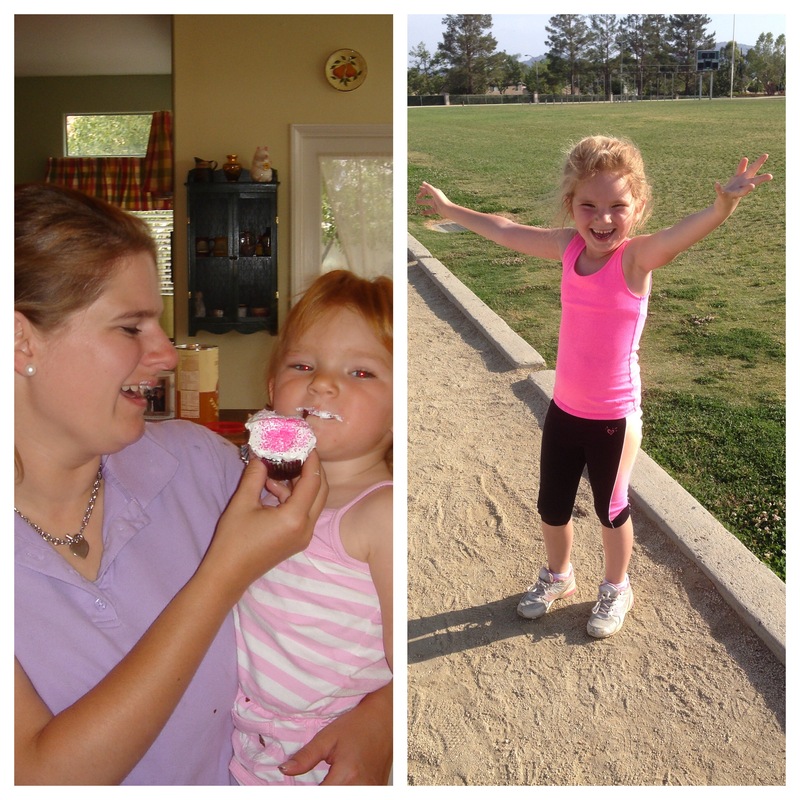 Make incremental goals: I remember when 15 pounds seemed far away. 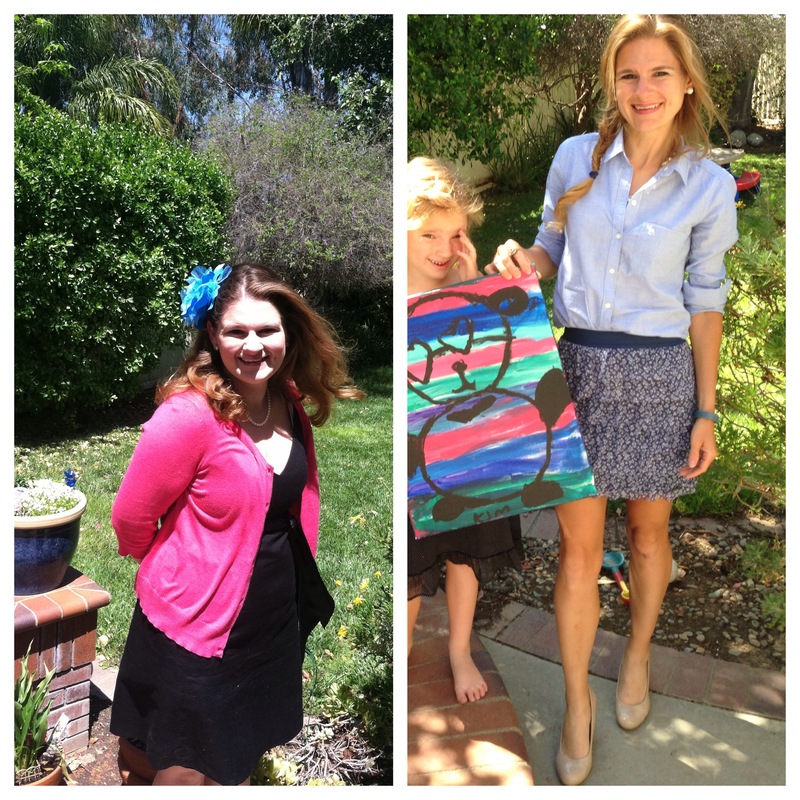 (I have lost 60 pounds, and between six to seven sizes). I always had my “secret goal,” but I kept that even from Bill. 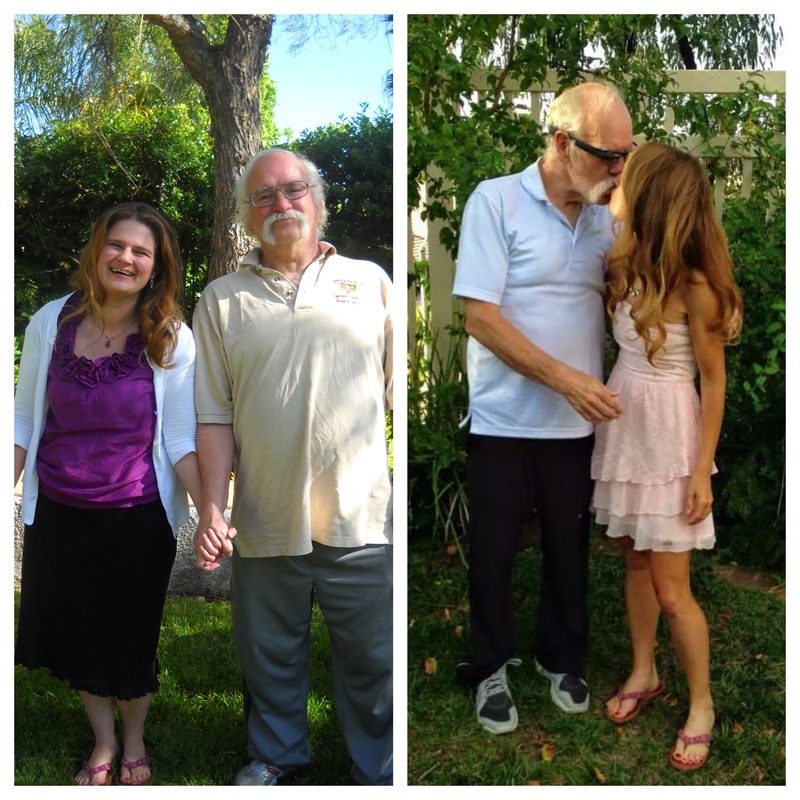 He thought I would stop after about twenty pounds or so and be what I was when we first got married. So, even he was surprised! I set little benchmarks all along the way. I am as far as I can go at this point, so now the goal setting has shifted. More muscles, improve at swimming and running. One day? Maybe train for a triathlon or mini triathlon. I will always be trying to push and shape my body; just the goals have changed. I would be lost without my training or self-improvement goals, personally. I think it is important to say something like: I will eat only 1200-1500 calories for four weeks and work my way up to running/jogging 2-3 miles. Accomplishing each step sets up a feedback of reward. 11. Do not reward thyself with food: I used to reward myself with food constantly, and my children, too. We are not trained pets. I feel very strongly about this. If we reward ourselves for anything with food, we give food a quality beyond its intended purpose of fuel. Why not reward ourselves with a nice bath? A run on a favorite route? Time doing a hobby? A trip to a favorite and renewing place? There have to be so many other options. 12. Learn to be hungry, and accept the discomfort: Being hungry is not comfortable. And that is okay. I had to learn that. Who ever said we get to walk around life being comfortable all the time? We have to learn how to sit inside of discomfort. Our bodies are meant to be hungry by the next meal. And over time? Being hungry stops hurting (I think that is mostly psychological because it isn’t like we are really and truly starving) and becomes just another sensation. Like giving birth. Feeling a tooth come out. Running 10 miles. We have been conditioned to think that any discomfort must immediately be remedied. No. Living in reality means learning how to feel real sensations. Some of the sensations of which the human body is capable, we have been trained to squash as soon as we can. That’s unfortunate, really. Learning how to sit inside of hunger and feel all of its dimensions (which, let’s face it, in a first world country when we eat three meals a day is NOTHING) is a good exercise in not being pampered. 13. Say no: I am in charge of what crosses my mouth, and I cannot have everything. Maybe I can have some of it another day. Over time, I have found there are foods to which I always say no (donuts, french fries, soda, most chips), because I have now lost the craving and realize they will do nothing much for me. We can train our bodies to want good fuel, if we give it time. But I also make allowances and plan for the food items I would never want to do without: a small piece of super dark chocolate, a piece of Lucia bread at Christmastime, certain holiday food. I cannot ever again have it all, but I can have a taste, or I can choose to trade one thing for something else. Telling myself, “No” is an act of mothering that has given me insight into mothering my own children, too. 15. Forgiveness of self: It won’t always be perfect. When I had one too many pieces of fudge (I meant to have just one) at our Christmas party, I didn’t crumple into a ball. Most of the time, I really don’t falter now that I have made up my mind, and that’s why my weight has come off quickly (as some people have wondered at). But, occasionally, I do. I never overeat by 1000s of calories, though, and that does help. But those times I am not perfectly in control? Okay. Regroup and start following the program anew. Get sleep. Run. Eat according to the plan the next day. Get over it… Tomorrow is a new day. It is not rationalizing to forgive yourself for a lapse. But I am always sure not to avoid the scale the next day: I force myself to be accountable for what I have done while still being gentle with myself. My methods aren’t always met with excitement, because they seem (to some) so stark. What is stark to one, is objective and logical to me. But it is true that I don’t really do sleight of hand with myself: I keep it real and true and objective, and I don’t try to excuse myself when I mess up. I don’t talk myself into ignoring my plan when I feel like it. Some days, it is not fun. If I am super busy, my lifestyle is easy; on days where I happen to have more idle time, I find myself wishing I could eat eat eat just for the pleasure of it. Some will snark, “But life is short! What about the pleasure? Why toe the line so much? Why be such a goody goody?” Well, my pleasure comes now and it comes later. I lived through a phase of food-for-pleasure, and it isn’t as good as the phase I am in now…for me. I love the pleasure of a body that can run fast and far, where every other sensation is magnified, where I can feel mentally clear and in charge of myself. I will not regret what I did not eat, but I would regret very much if I had made a different life decision two years ago. I have enough life left, I hope, to taste a little of anything I want to taste, in moderation. It doesn’t need to be constant, and it doesn’t need to be to the point of satiation or stuffed-ness. The pleasure of meeting a long-term goal is unique to itself. I trade immediate pleasure for long-term pleasure. That’s how I used to be in my high school years, and I have returned to being that person, only moreso. I am in it for the long term goals at this point. I am starting to create goals that are two and three years out. So. Two years. Two years of freedom. Two years of work. Two years of remembering how and why to value myself. Two years of self-improvement (losing weight is one thing, but the discipline required spills over into other areas of life as well). Two years of fulfilling my expectations of myself. Two years of working on goals with my husband. I love myself too much not to fight for myself. I can only give fully of myself to my kiddos and husband when I take the time and care to have my business together. They do not deserve to become excuses for why I couldn’t do it… If anything, they are my inspiration. They deserve to know me at my most vibrant and alive, to have a more patient, silly, happy, wild version of me. They deserve a mom who is not afraid to try her best. And finally…of all the races I have placed in or run this year (my two year runnerversary is coming up, too), my first race with my dad is still my favorite. 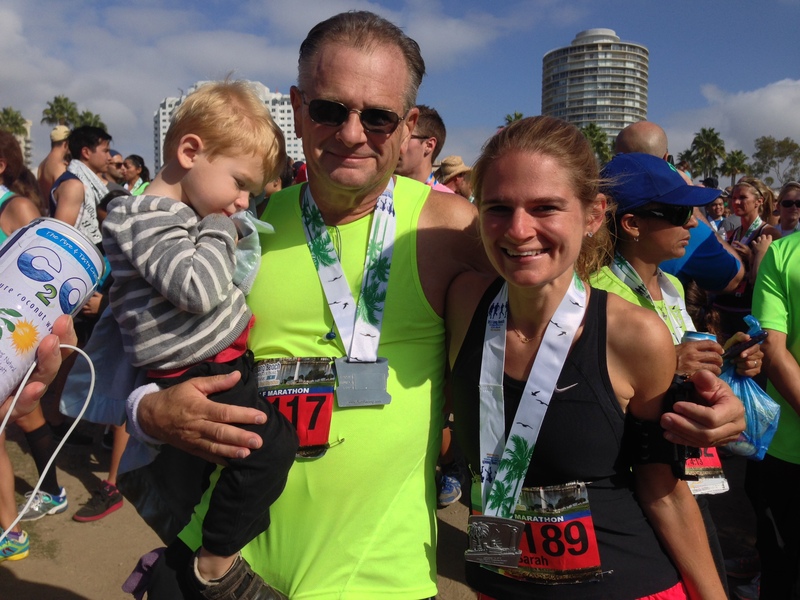 It was the Long Beach Half Marathon 2013. I had watched him run it from the sidelines in October 2012, just four months into my journey. No matter what I ever run again, this moment right here—right here—will always be the treasured one. Whenever I see this picture, I start to choke up. It was not just the accomplishment of my body…but the understanding of just how much my dad had inspired me to become healthier in modeling that change himself, and how much a parent can affect a child in that way. When I look at this picture, I think, “What if? What if I had never started? What if I had given up?” Then I never would have known this moment with my dad, nor all the moments that have come after. The thought staggers me. What if I had not been brave? What if I had not dared to believe in myself? But for one fateful moment, I did. Love this! I’ll need your help/advise/wisdom as I will be running my first ever 5K in August. I admire what you have done and I am so happy to know you. I like this: “But I am always sure not to avoid the scale the next day: I force myself to be accountable for what I have done while still being gentle with myself.” This is my biggest hurdle. Now we inspire each other. This is my favorite race to do with you.